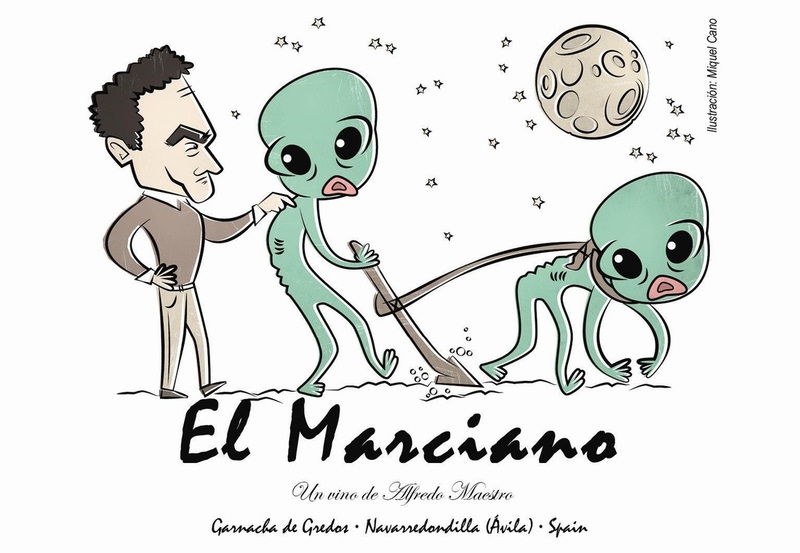 “Wine made with only grapes, well-kept vineyards, and healthy land.” This is the mantra of Castellano winegrower Alfredo Maestro, a bright light amongst an abyss of industrially farmed, over-ripe, over-oaked, and over-manipulated wine-scape that is the Ribera del Duero these days. Alfredo’s ascendance is unique to Alfredo. 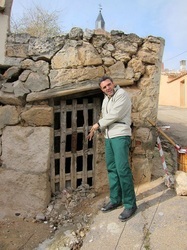 His family came to the winemaking town Peñafiel, Ribera del Duero from the Basque Country. Having grown up amongst the vines, Alfredo had a great interest in wine, and, through encouragement from friends, he started making his own wine in 1998. 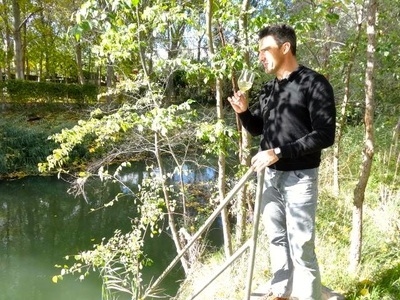 That same year he planted his first vineyard -Almate- on the Rio Duraton near his home. 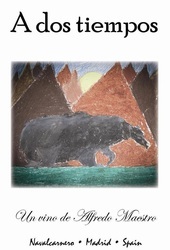 From the beginning he farmed organically. 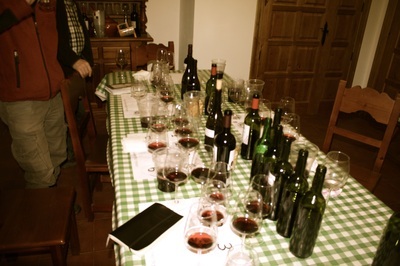 In the cellar, Alfredo was working literally “by-the-book”, teaching himself enology from a book and using every trick in it to make a “correct” Ribera del Duero wine: yeasts, acid, enzymes, tannins, color-enhancers, etc. were just some of the techniques utilized. 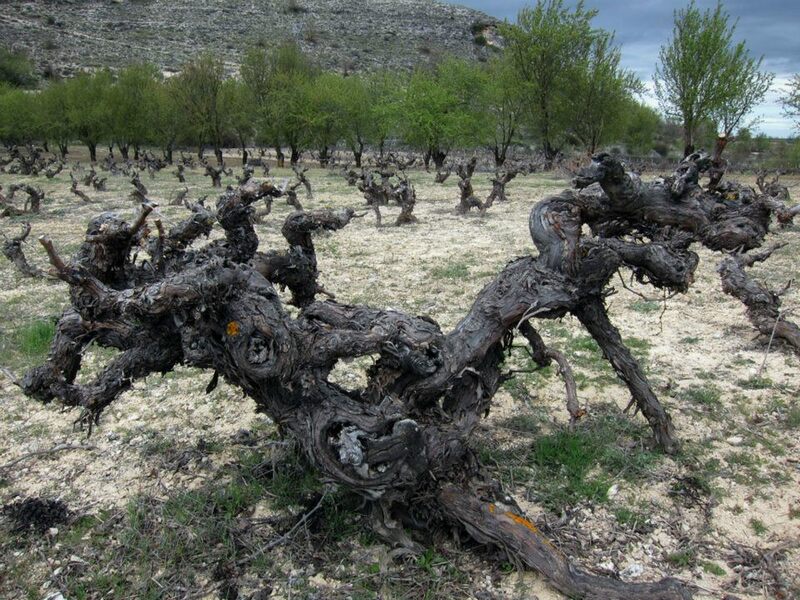 In search of serious “purple-ness”, this is how many of the modern Ribera del Duero’s of today are produced. In the early 2000’s Alfredo had a revelation. 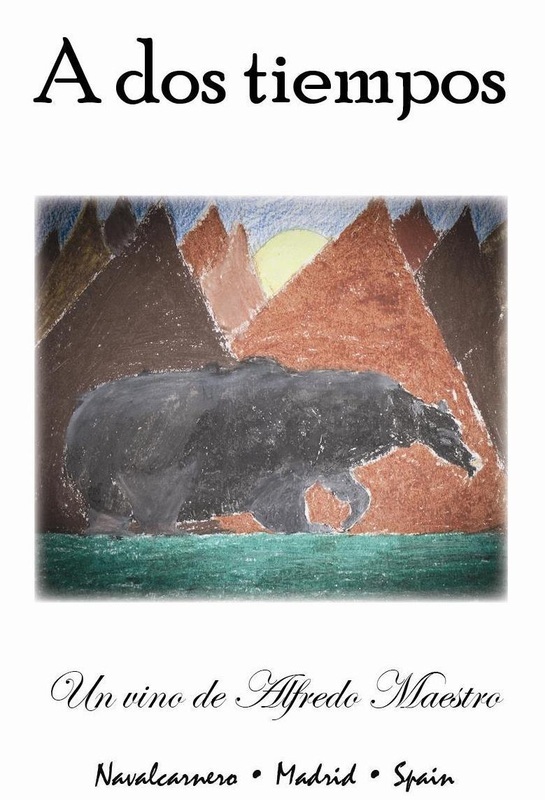 He questioned why as an organic farmer use chemicals to make the finished wine; he wanted to work as naturally in the winery as he did in the vineyard, in his words - "to better tell the story of the land." Alfredo began eliminating exogenous products, and in 2003 he began making wine without any additives whatsoever, including sulfur. Alfredo still has a bottle of ‘Castrillo de Duero’ from that initial experimental vintage, and the wine is delicious, developing beautifully, deep, tarry, and tobacco – a great sign of things to come. Over the past few years, Alfredo has been seeking out neglected parcels around the Ribera del Duero and the nearby Madrid to make wine from. 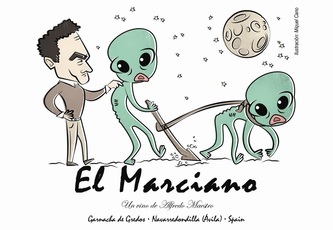 He looks for old vines, poor limestone or granitic soils, and the requisite high elevation that gives freshness to wines grown on Spain’s great Meseta Central. 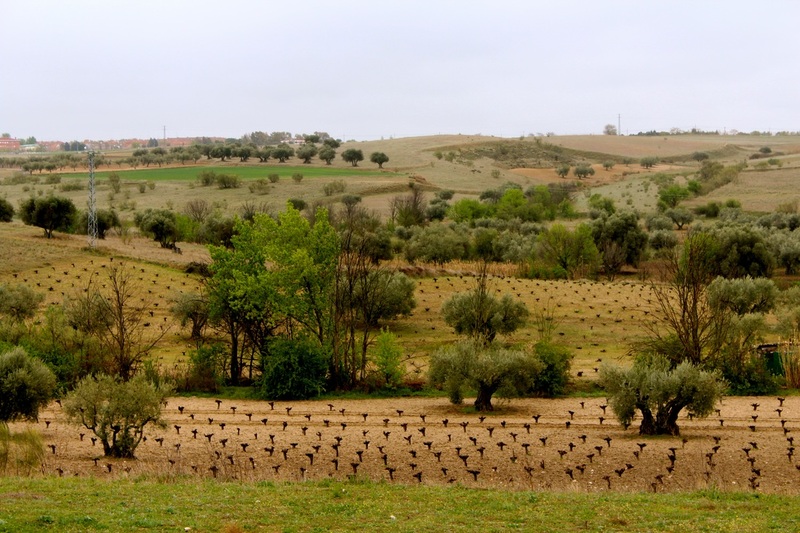 Alfredo has accumulated 9 hectares and two small bodegas, one located in his native Peñafiel in the Ribera del Duero, where his father helps with the bodega work, and the other in the Navalcarnero area, southwest of Madrid. Alfredo makes no less than 11 cuvees from single vineyards and most notably from very rare old-vine parcels of Garnacha, Garnacha Tintorera, and Albillo located in the Ribera del Duero; these are grapes that were once embraced in the region but have fallen out of favor due to the region’s fascination with producing a 100% Tinto Fino wine. 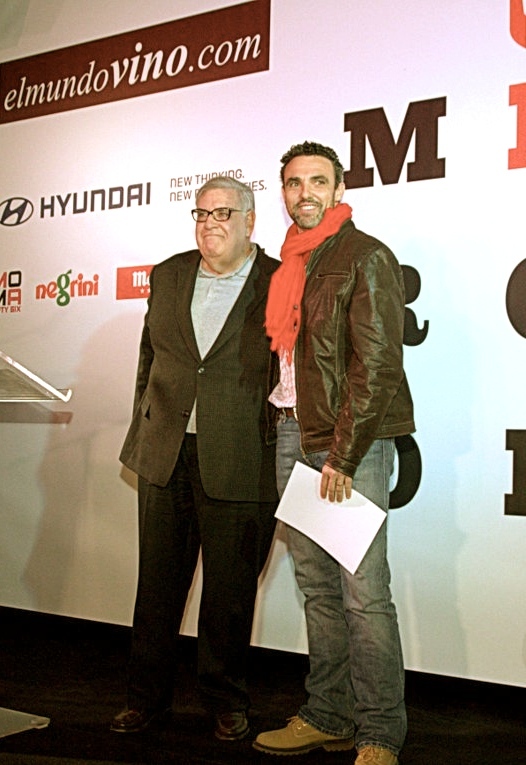 This prevailing mentality and fascination with spoof has worked to Alfredo’s benefit. He makes some of the most singular white and rosado wines in the region and his tintos are remarkable for their purity and elegance. Alfredo’s goal is to make "easy wines with character imprinted with the earth and the vintage, authentic stories transmitted differently each year and not modified by the hand of the man in the cellar." 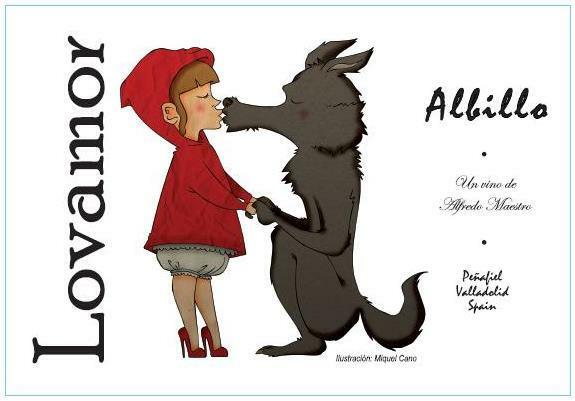 Lovamor Albillo Mayor from 100-120 year old vines grown on clay-limestone at 800 to 1100 meters elevation in the Ribera del Duero. Fermented with wild yeasts and 6 days of skin contact, and raised for a short time in small steel vats with nothing added or taken away. Lovamor is an orange wine, medium to full-bodied, bright acidity, with exotic notes of orchard fruits, flowers, and minerals; a delicious wine to have as an aperitif or with charcuterie and cheeses. 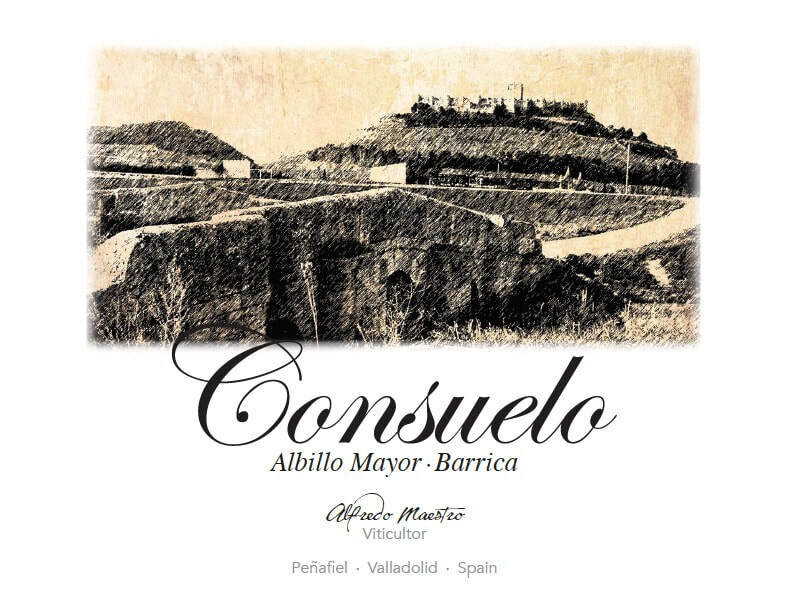 Consuelo is 100% Albillo Mayor harvested separately from several majuelos (tiny parcels) in villages around Peñafiel, Aranda del Duero, Burgos and Vallalodid planted between 1891 & 1910. Grapes were hand-harvested, de-stemmed, crushed and macerated for 7 days of skin contact, wild yeast fermented and raised in 500L French barrels for one year, and bottled the following February without fining or filtration. Consuelo is full- bodied with bright acidity and textured mouthfeel, offering exotic notes of orchard fruits, flowers, and minerals; a delicious semi-orange wine to enjoy with hearty seafood and other white proteins. Amanda From a single vineyard, called El Cuchillejo, of 60 year old Garnacha Tintorera vines grown on clay calcareous soils at 850 meters elevation in the Olmos de Duero valley, Ribera del Duero. Fermented in steel vat with wild yeasts and 3-5 hours skin contact, and raised for a very short time, bottled early with nothing added and nothing taken away. 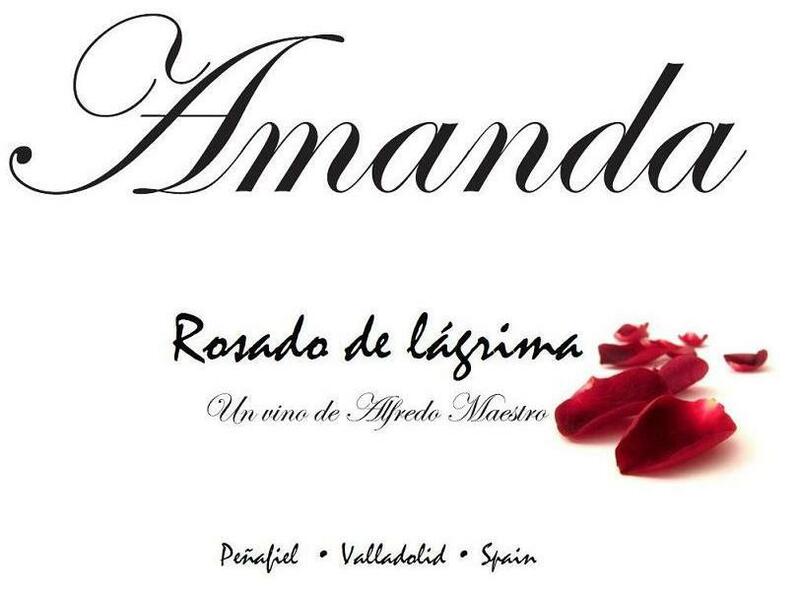 Amanda is a full-bodied rosado with high acidity and notes of red fruits, citrus, and minerals; eminently delicious as an aperitif or with a wide variety of cold tapas. 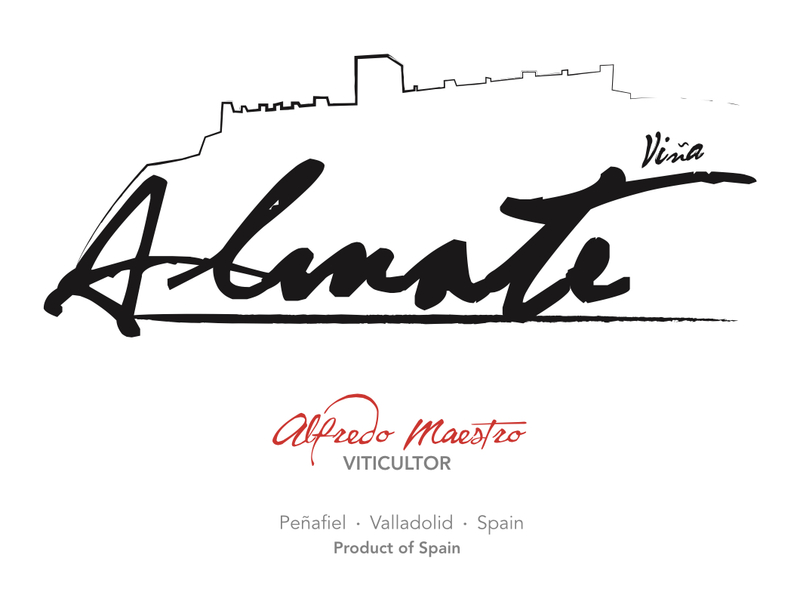 Viña Almate Viña Almate is the name of the first vineyard that Alfredo planted and gives the name to his bodega and to Alfredo’s entry-level Duero wine. This cuvee is made from fruit sourced from various plots of Tinto Fino (Tempranillo), of varying vine ages located, in Valtiendas at 1,000 meters elevation, as well as Peñafiel, at 700 meters. The wine is 80% whole cluster fermented in steel vat with 15-20 days of maceration, and raised for 4 months in neutral French oak with one racking: unfined, unfiltered, and very low SO2. 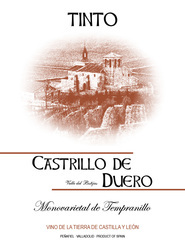 The result is a very pure and classic medium to full bodied Duero wine with notes of red fruits, spice, flowers, and minerals; a great wine to pair with grilled and roasted meats. 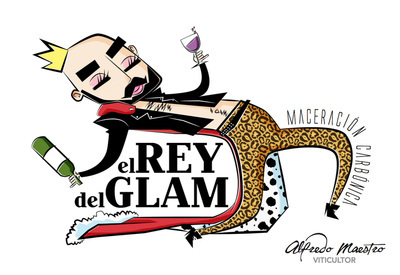 Maestro El Rey Del Glam This experimental cuvee made with carbonic maceration comes from two different 100% Garnacha vineyards of varying ages. Half of the cuvee comes from old vines planted on granite soils in the town of Navarredondilla in the province of Avila located in the Sierra de Gredos mountain range; the other half of the cuvee comes from moderately old vines planted on calcareous clay soils in the town of Peñafiel, Ribera del Duero. This is a medium bodied wine with layers of juicy fruit and spice, meant to be drunk young when the wine is at its most youthful - delicious with barbecued meats and grilled vegetables. 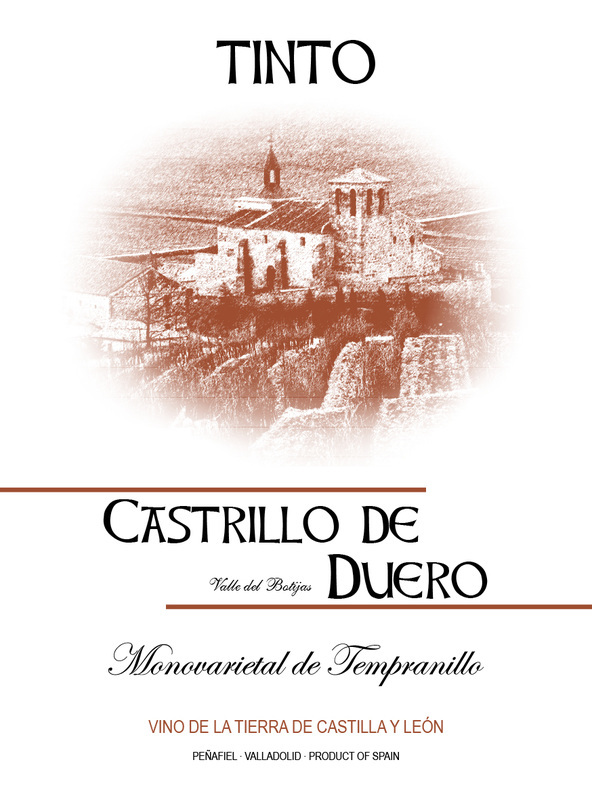 A dos tiempos From a single vineyard of 30-year-old Tempranillo and Garnacha vines -50/50- grown on sand and clay at 730 meters elevation in the Navalcarnero area of Vinos de Madrid. 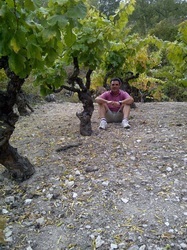 The name A Dos Tiempos, “at two times”, comes from the fact the vineyard is harvested twice, three weeks apart. Destemmed, fermented with wild yeasts in steel vat, and raised for 6 months in neutral French oak. A Dos Tiempos is luscious and complex wine with notes of red fruit liqueur, spice, bitter herbs, and earth; a lovely wine to pair with grilled beef. 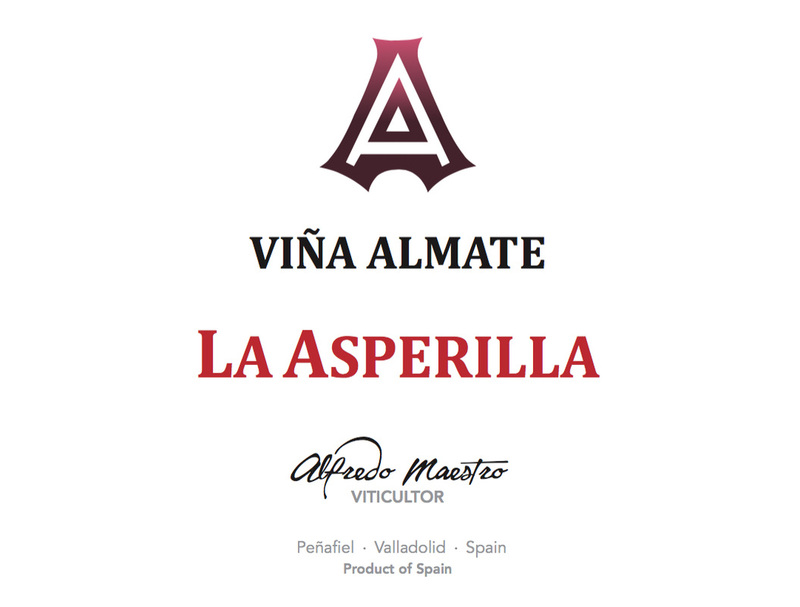 La Asperilla This cuvee comes from a single east facing 85 year old vineyard planted at 750 meters elevation on clay-calcareous soils in the town of Peñafiel, Ribera del Duero. This old vineyard is co-planted with red and white grape varieties and the cuvee reflects this with the majority Tinto Fino/Tempranillo being co-fermented with Albillo, Moscatel, and Palomino. Fermentation is with wild yeasts in steel vat with 15 days maceration, then racked to older French barriques for malolactic fermentation, and subsequently raised in 2000 liter chestnut barrels for 1 year with racking every 4 months. The results are a wine that is simultaneously fresh, ethereal, and powerful – perfect to pair with the local lamb Alfredo’s region is famous for. 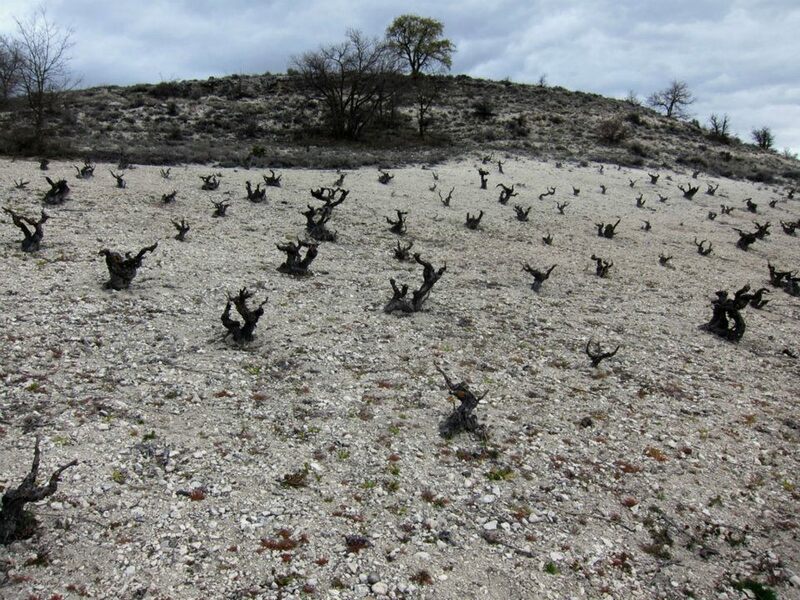 La Olmera From a single namesake vineyard of 30-year-old Tinto Fino vines grown on a clay calcareous slope at 750 meters elevation in the Bocos del Duero, Ribera del Duero. Destemmed, wild yeast fermented in vat, with long maceration (20-30 days), and raised for 1 year in old French oak. Olmera is an age-worthy wine with tightly knit layers of red and dark fruit, flowers, tobacco, game, and mineral; a noble wine to pair with an equally noble meat course after 5-15 years of bottle age. La Guindarela Grown on the same slope as La Olmera just a stones throw away, the soils are a bit more clay, and the vines are 15 years old. Vinified and raised the same way as Olmera, Guindalera is decidedly fuller-bodied and softer, with rich yet elegant notes of red fruit, flowers, licorice, iron, and spice; perfect to pair with a grilled beef or lamb. 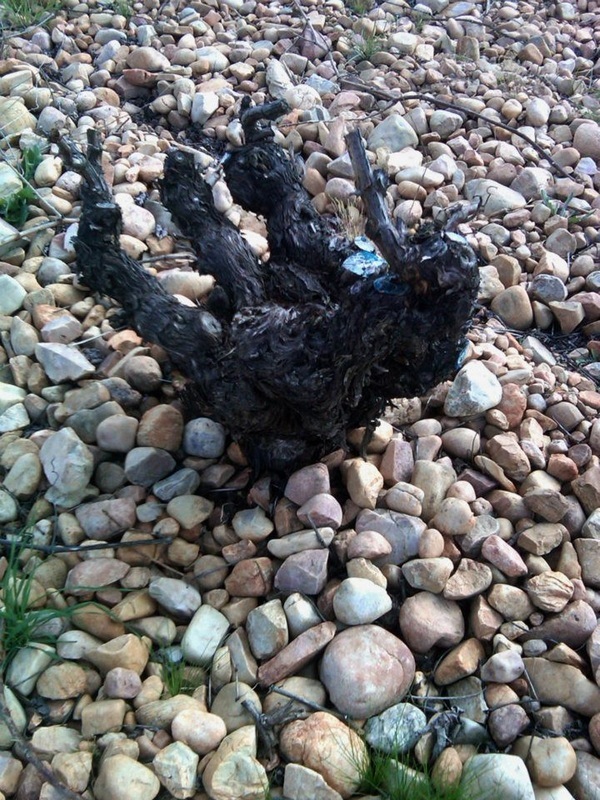 Garnacha From adjacent plots of 100 to 120-year-old vines grown on clay-calcareous soils at 900 meters elevation in the town of Peñafiel, Ribera del Duero. Destemmed, fermented with wild yeasts in small steel vat, and raised for 12 months in used French oak. 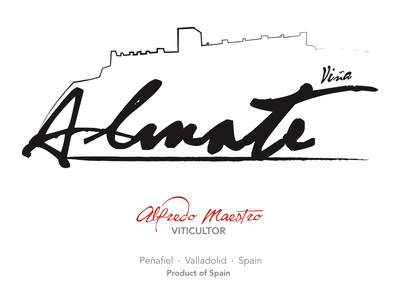 Almate Garnacha is a tightly wound wine with notes of mineral, spice, and layered fruit; ideal to lay down for a few years and pair with roasted or stewed meats. 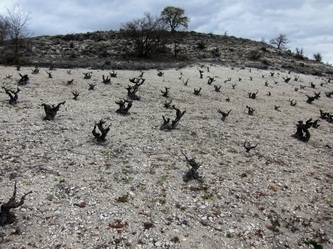 La Viñuela From a single vineyard of 70-year-old Garnacha and Tempranillo vines -50/50- grown on sand and clay at 830 meters elevation in the Navalcarnero area of Vinos de Madrid. 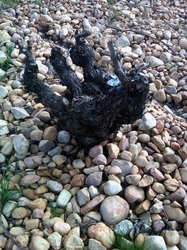 The vineyard has been farmed organically since 2008. Destemmed, fermented in small steel vats with 15 day maceration, and raised for one year in 2nd use French oak. Viñuela is full-bodied and well-structured wine built to age over the next 5-7 years with notes of dark fruits, incense, and earth; a complex wine to pair with grilled meats.